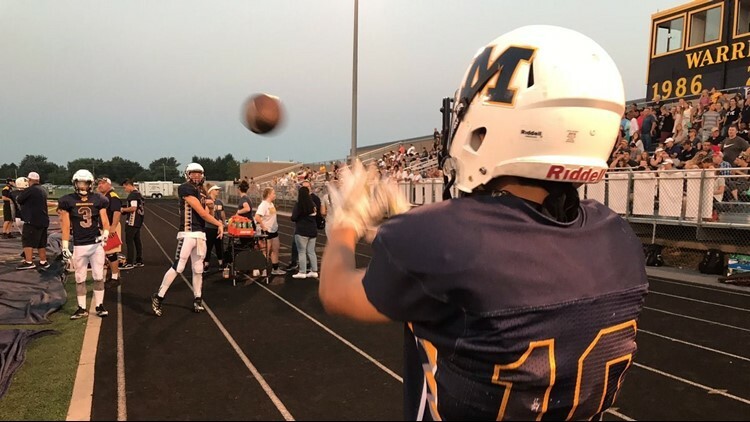 MERIDIAN — Meridian High School head football coach Mike Virden is stepping down after his second go-around with the Warriors. "It was a tough decision," Virden said. "I think what we did in there in just this one year is awesome. [The program] is in a really healthy spot right now." Virden says it was a really tough decision. He added the Meridian AD and principal are great, and he really enjoyed coaching the kids in program. There are some business opportunities he wants to pursue though. It meant he couldn’t be there as much as he wanted to be as a coach. Virden led the program from 2003 to 2006 and led the Warriors to the 5A state football title in 2005. The Warriors will have 17 starters back next fall. "The kids are great and we have a great group of seniors coming back." Virden took over for Porter Lacey, who stepped down last fall after five seasons with the Warriors.